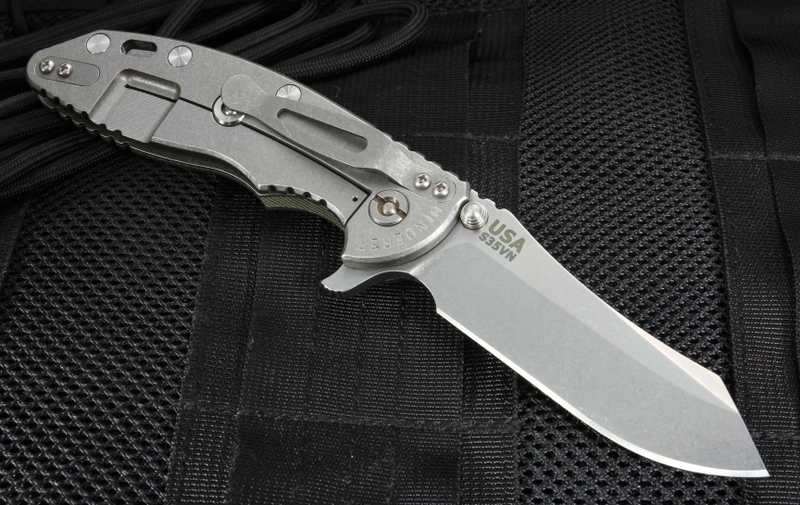 The Rick Hinderer Gen-4 XM-18 is a beautiful flipper folding knife built as a tough tactical folder for every day carry. 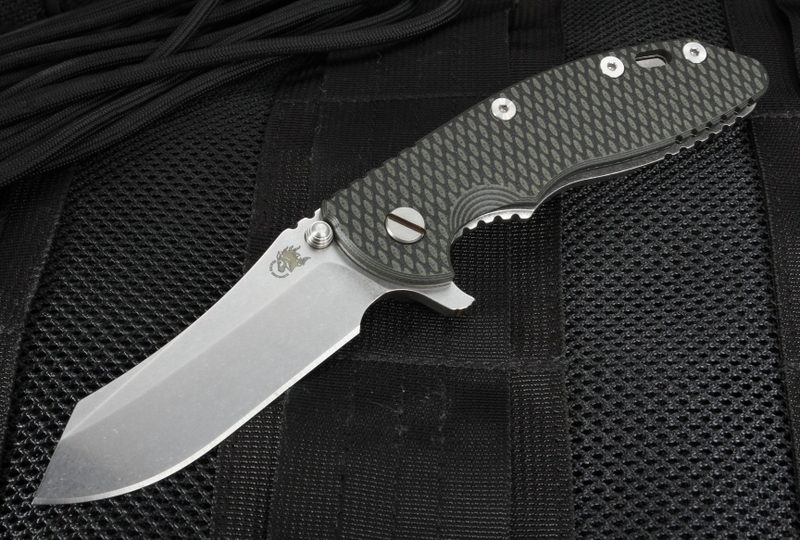 Famous for its smart and tough design, the XM-18 is a great carry knife among military and law enforcement due to its tough, long-lasting and secure built. Measuring 8.25 inches long and weighing only 5.5 ounces, the XM-18 is a no-nonsense tactical knife. 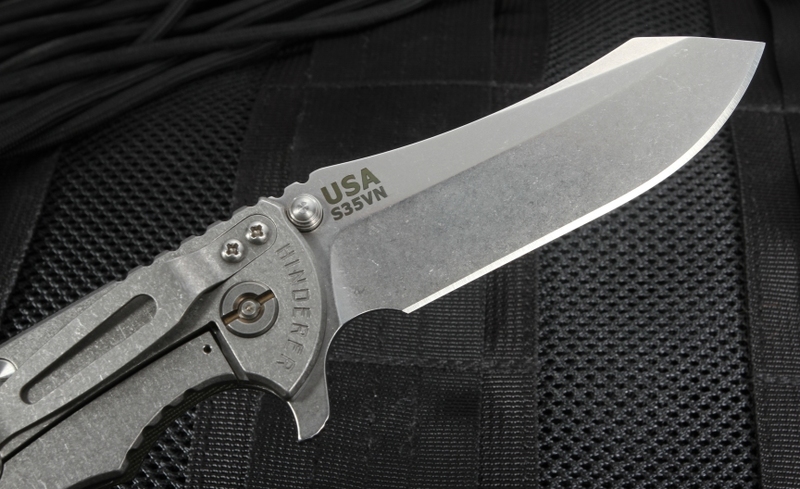 The 3.5-inch skinner blade is made with Stainless S35-VN Crucible Steel with a stonewashed finish. Partical metal produced S35-VN steel is hardened to a Rockwell (RC) Hardness of 60-61, giving it improved wear and chipping resistance, while allowing for easy resharpening. The stonewashed finish stands up to tough use while reducing glare and the visibility of scratches or nicks on the blade. With a blade thickness of .165 inches, the skinner grind allows for ease in maneuvering the blade through tough materials, and gives great control to the user with blade cuts and slices. The dual thumb studs on the blade also allow for easy blade deployment for either left or right-handed use. 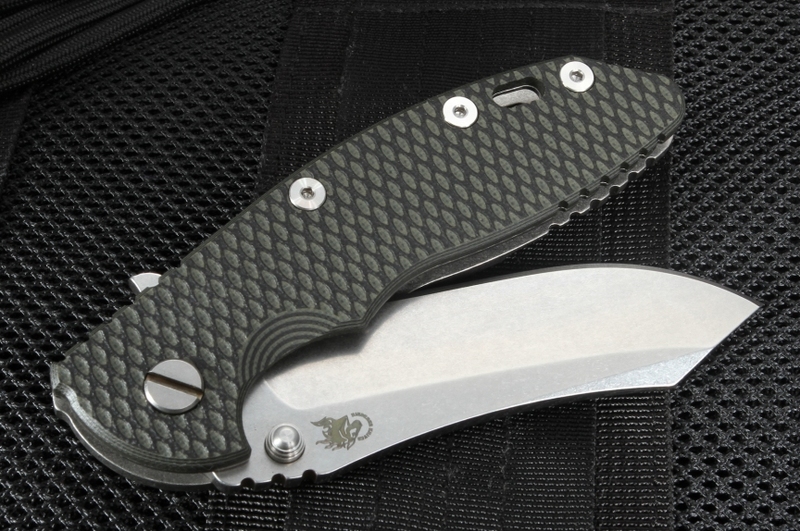 With the contoured, 3D-textured black and green G-10 handle measuring 4.75 inches paired with a filed thumb rest, the knife gives a user a secure and comfortable grip in dry or wet conditions. The overall built of the handle with the solid frame lock design speaks to the knife's strength and durability, making it fit for tough situations and environments on a daily basis. The frame lock is reinforced with the Hinderer lock bar stabilizer. The lanyard hole in the bottom of the handle and the reversible pocket clip gives the knife another carry option, expanding its utility. Ordering the Rick Hinderer XM-18 through KnifeArt ensures you a quality, authentic knife. With free U.S. same day shipping and satisfaction guarantee, your order will meet up to your expectations, or your money back with our simple return policy.